We’ve been back in our school routine for almost a month now. 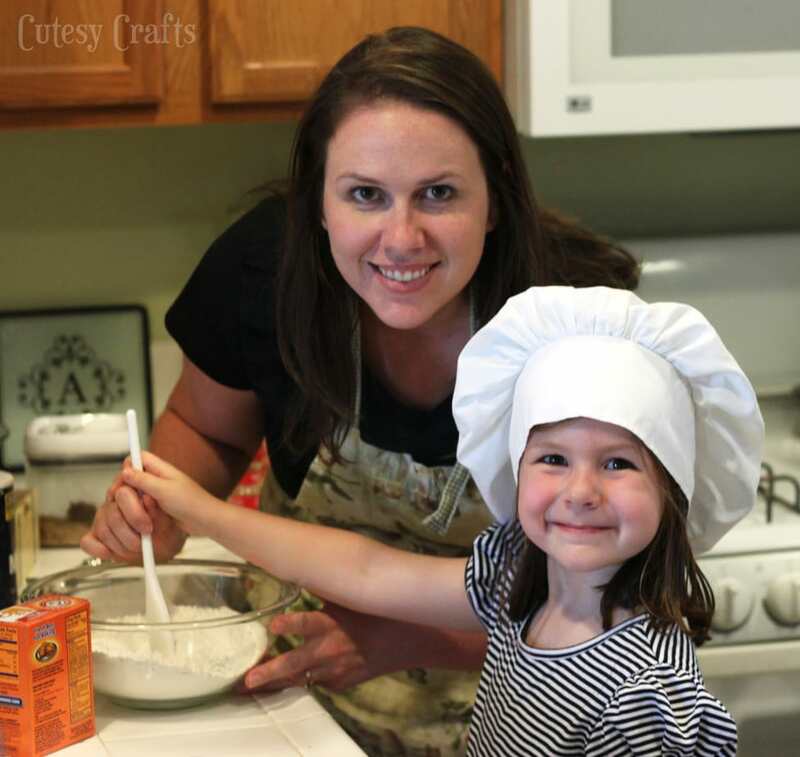 With all of the schedules and homework, I’m always looking for easy meals for our family. Once a week, I like to give myself a break and make a frozen dinner of some kind. 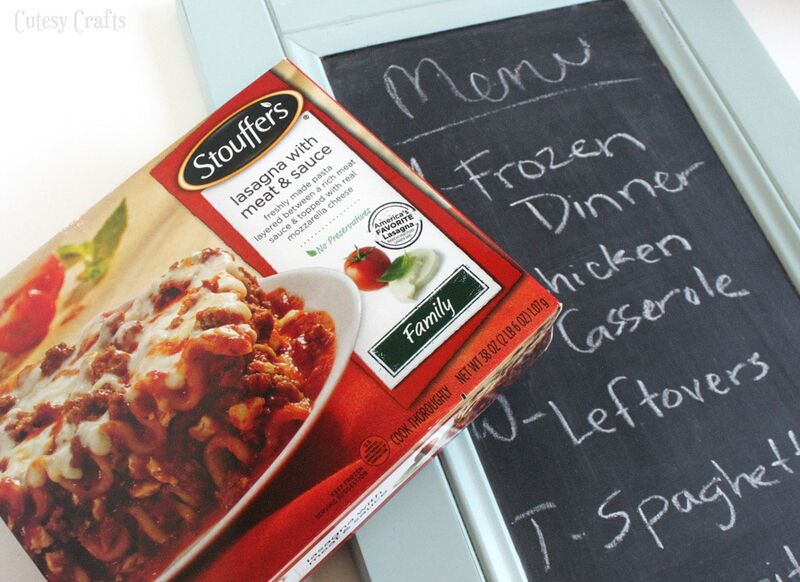 One of our favorites are Stouffer’s Lasagnas from Nestle. Who doesn’t love a classic?! I took a shopping trip to Walmart to get one, along with some Dreyer’s Slow Churned Ice Cream. 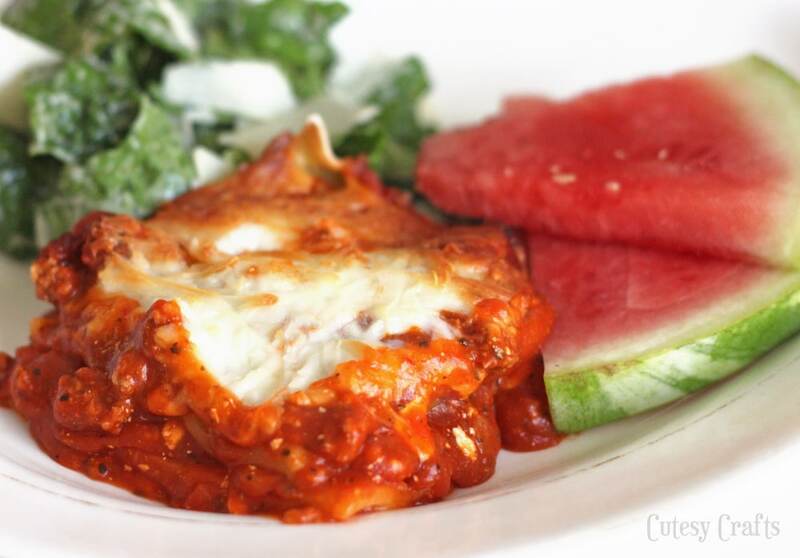 Definitely a yummy and easy dinner solution! 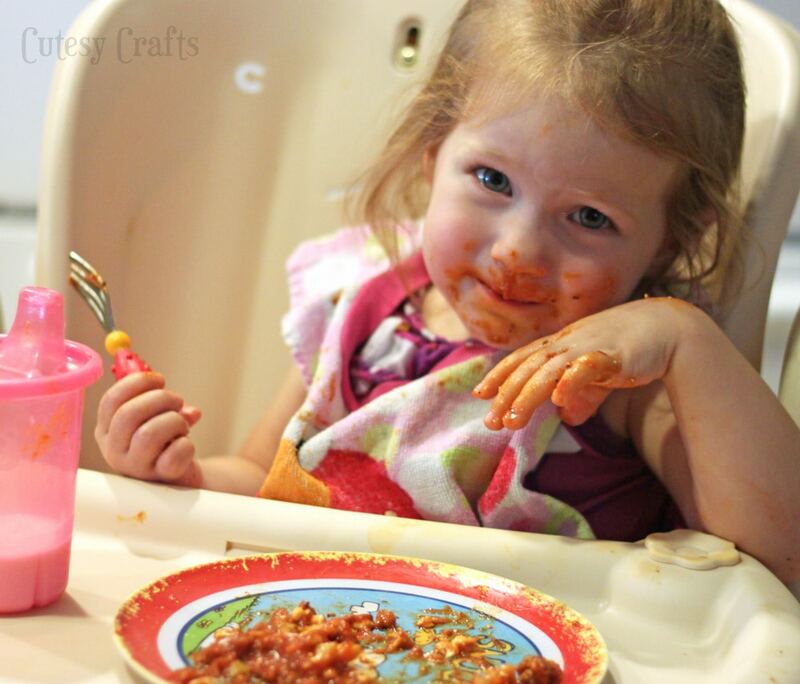 Even the littlest loves some good lasagna! Audrey and I decided to take advantage of the oven being on to bake some cookies! No, the chef’s hat is not staged. She runs to get it every time I let her help in the kitchen. My little helper! 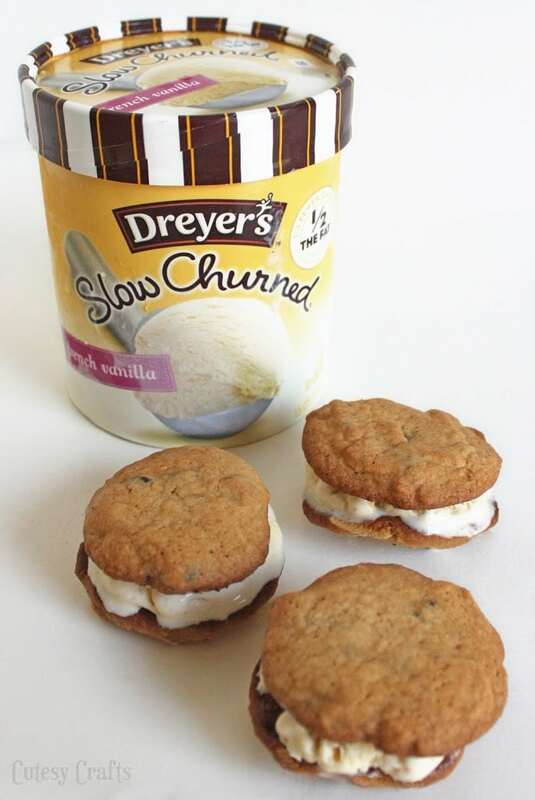 We had a little bit of fun and made ice-cream sandwiches with the Dreyer’s Ice Cream. The kids definitely approved of those! 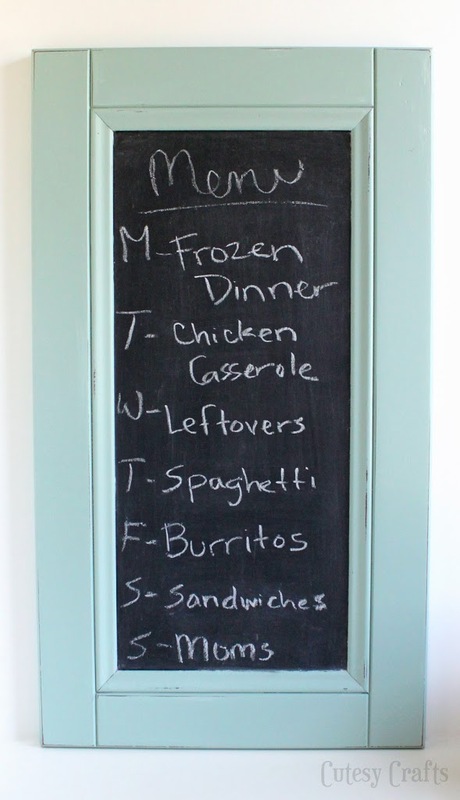 To help out with meal planning for the rest of the weeks ahead, I made this cute chalkboard menu out of an old cabinet door. Best part is the door only cost me $1.00 at a place nearby that sells donated construction site supplies. Score! Just take off the hardware, fill in any holes with wood filler, sand, prime, and paint. 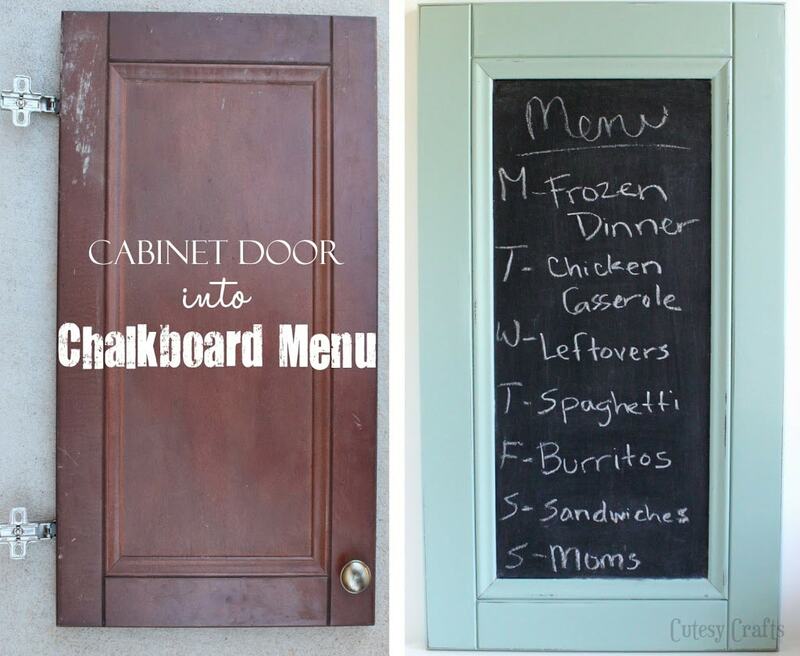 The center is painted with chalkboard paint that you can get at any craft store. 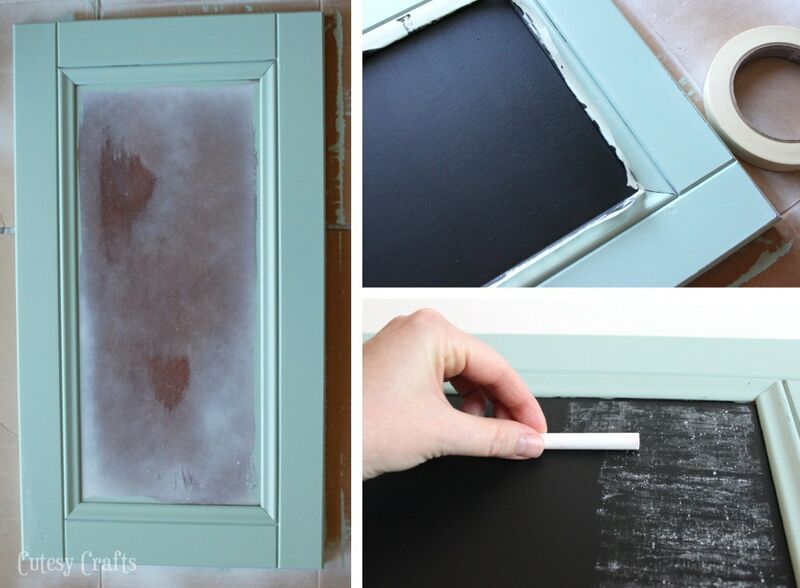 Once the chalkboard paint is set, you prime it by rubbing a piece of chalk over it, and you are good to go. I think I’ll hang it on the back of my pantry door with some adhesive strips. 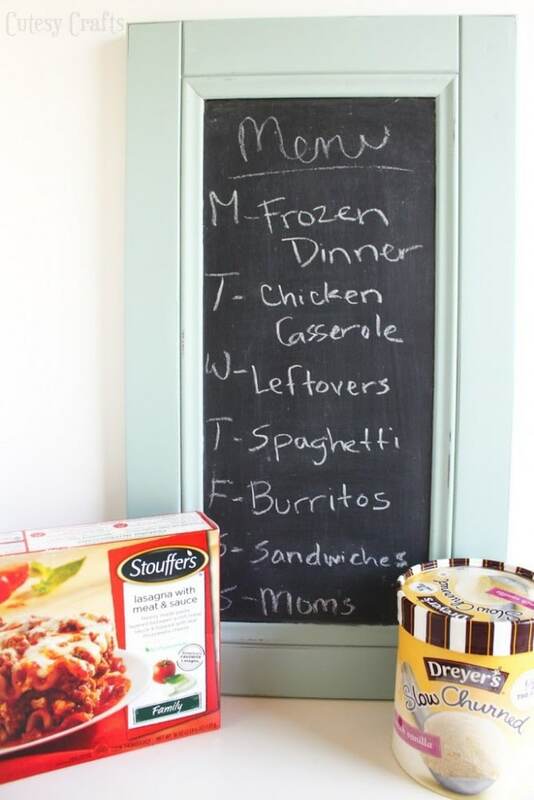 If only we could have frozen dinners every night! What adorable pictures! 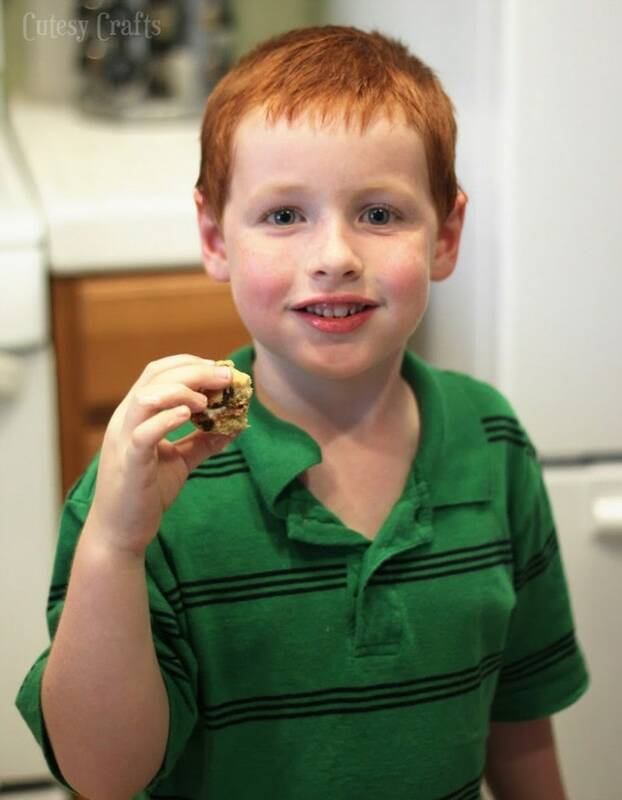 Love the shots of your family and that lasagna and those cookies look GOOD! And I *adore* your menu plan solution! I will have to make one!! We totally had that same lasagna on Sunday! It’s my favorite, so much that I refuse to make lasagna anymore… 🙂 Unless it’s bought from a store. Yum! It’s the best for sure! Love it! Thank you! 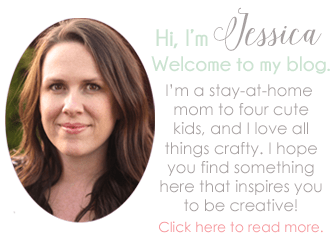 I have a can of Benjamin Moore’s Wythe Blue that I keep using on random things. It’s so pretty!